along with Bass guitars, each guitar has been inspected by our in house guitar tech. 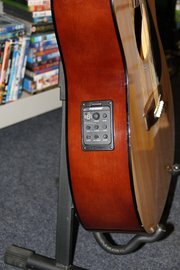 All our guitars come with two free guitar lessons. High end custom built guitar. The DRL thinline comes with upgraded fishman preamp with built in charger. Hard case also included. This is a custom built guitar by a local lutiher with an old style jazz guitar look. 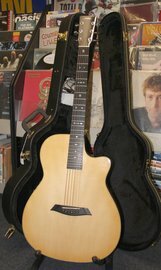 A rare chance to own a hand built guitar at an affordable price. 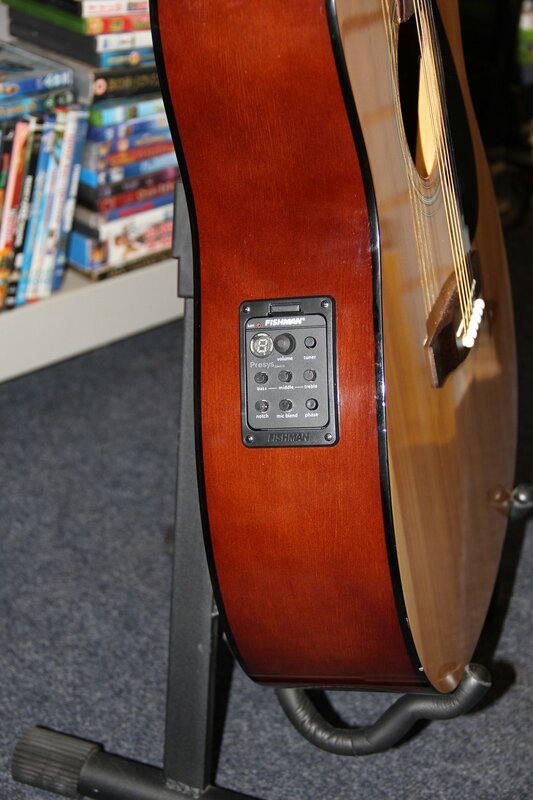 This 310 has been upgraded with a fishman preamp which has both microphonic and piezoelectric pickup features. 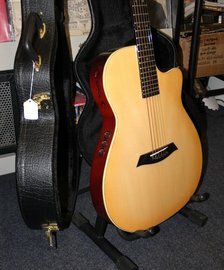 Sigma Acoustic. This guitar has great tone, Sigma are well known for the quality of their acoustics and this one is no exception. A piece of history, this is a guitar from Sweden in the 1960s. A rare guitar, a collectors dream.